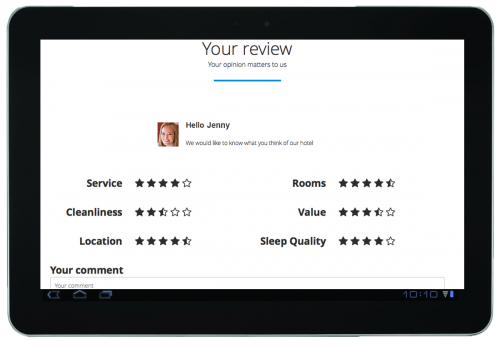 Your guests see a welcome page where they fill some basic information and then submit their review. This page is compatible with all devices while the use of the service is optional, without limiting your guests from accessing the internet. In the mean time you can redirect your guests to your webisite, Facebook page or notify them about your exclusive services. 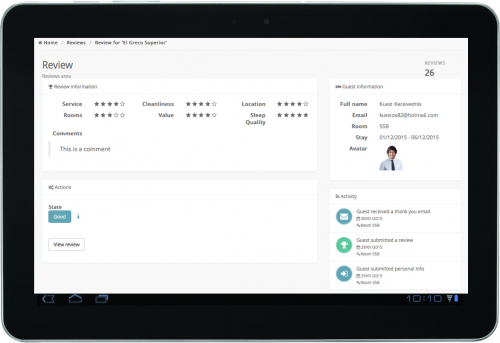 Hotel Feedback sends questions to your guests regarding service quality based on a date schedule. In case of a great review an automated email is sent back to the guest prompting him to post the review in social media. 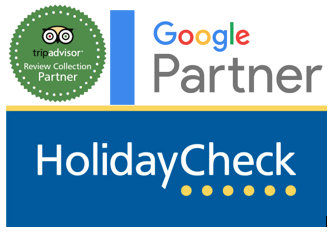 In case of a low review, the hotel manager will be instantly alerted with an email or SMS allowing him to interact with the guest before he checks out. 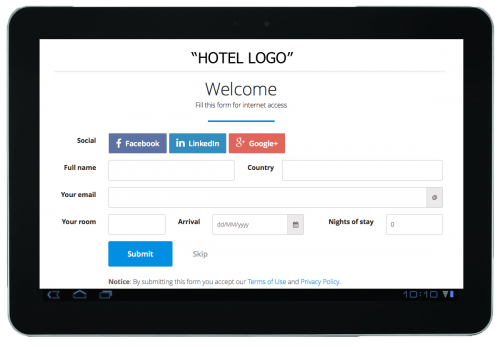 Add our special function that allows you to promote your hotel services and offers to your guests every time they connect to your hotel’s Wi-Fi. Create banners for your hotel services or redirect them to an external webpage or Facebook page. We provide a rich dashboard with statistics that give you a complete overview of your hotel’s quality and your guests’ opinion on your services. You get statistics for the average score and for each of quality separately. Also you have statistics about review quality allocation and guest engagement. You can see statistics for each room separately, providing you with a more detailed view of your hotel. 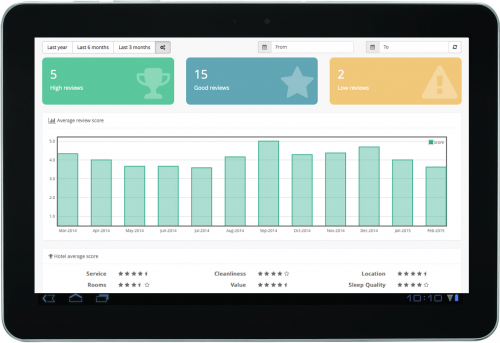 You can also get statistics for any time period you set, allowing to get a clear insight about your hotel’s services. 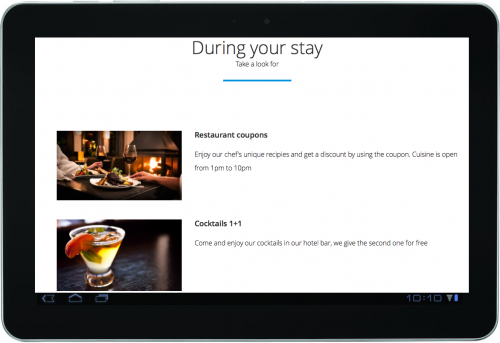 You can create a guests’ database and have a complete history of their visit in your hotels. Use that data to keep in touch with your guests and provide them with new offers, either for themselves or their friends. 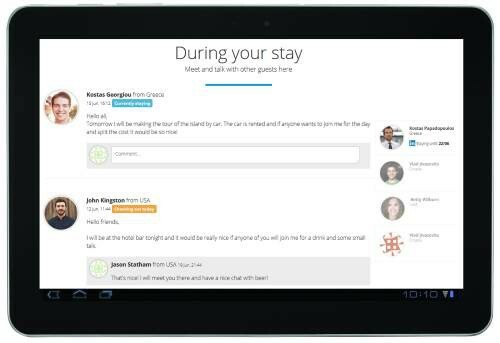 Get social and find what’s happening in your hotel. Discover useful tips from other guests, make your suggestions and offers and ask other guests what is nearby. Create a sense of community and show your hospitality by offering online tips and networking with other business travelers.